We had a fascinating and rich workshop with Olga Zvontsova this weekend. Both days were attended by more than 30 people and we worked very hard and learned a lot. 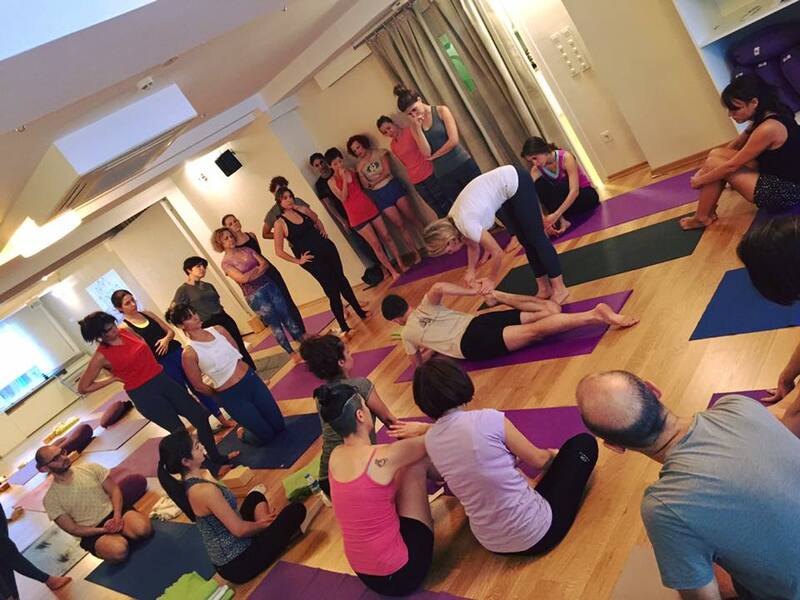 Olga started us with detailed instructions about the hands and feet in order that the arms and legs worked better, and we then applied these string and stable limbs into a variety of standing poses, inversions and backbends. We learned about the Munis, or ‘Wisdom’ points in the hands and feet, and also about the fire and water elements of asana. A big thank-you to Olga for her inspiring teaching.